The Washington Observer-Reporter produced a great video about Bill Cameron's Radio Drama course. Congratulations to Erikka Vikktoria Loper! 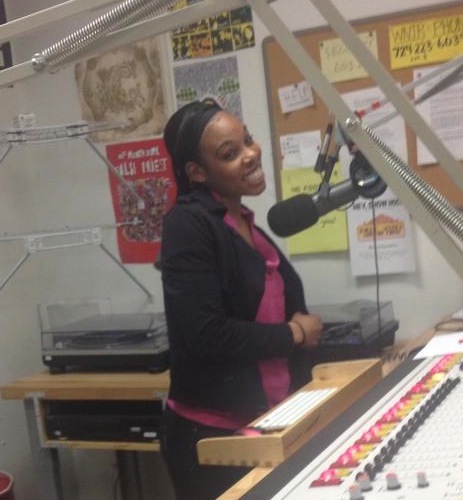 Her entry in the Pennsylvania Association of Broadcasters 2013 Excellence in Broadcasting Competition won in the Judges' Merit category. Erikka is being recognized for the "Staff vs. Students" episode of Friend or Fraud, her Communication Arts senior project. The awards ceremony will be held in Hershey PA on 6 May in conjunction with the annual PAB conference. A hush has fallen over campus, but you can still hear WNJR through the coming week. Most community-hosted programs will be on the air, and our news and syndicated entertainment programs continue as usual. The diverse array of student shows will resume on Monday 25 March. Today is officially Saturday Light Brigade Day in Pittsburgh. Larry Berger started the show 35 years ago at WYEP when he was 16 years old. The show now originates from the SLB studios in the Children's Museum of Pittsburgh and airs on six college radio stations. WNJR is pleased to be a broadcast affiliate of the program and is grateful to Larry and Rikki Berger for their support to W&J students over the years. A number of WNJR students have interned at The Saturday Light Brigade and gone on to become media professionals. Congratulations--and thanks--to Larry, Rikki, and the whole SLB crew. Tune in every Saturday 6:00 am to 12:00 noon for puzzles, listener interviews, live music, and great coverage of community events. Radio fun for the whole family. Thought Transfer Get Up The Cars, fun rock. The Postal Service A Tattered Line of String Themselves, they rock. This week, the WNJR staff is saying goodbye to one of its own. On behalf of the entire staff, congratulations to Lane McFarland on a fantastic run with our station! We wish him best of luck in all of his future endeavors, and we hope he finds time in his busy schedule to come back and visit what will always be his WNJR family. 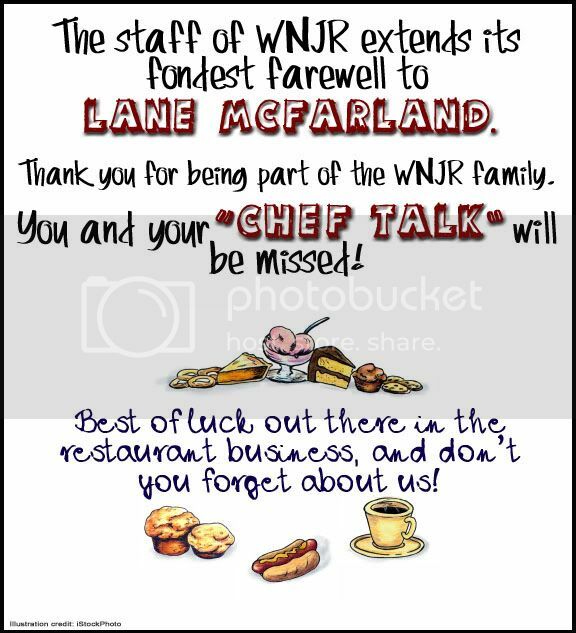 Tune in to 91.7 WNJR today at noon to catch the last installment of Lane McFarland's Chef Talk! WNJR features a wide variety of jazz this month. On vocals we have Diana Krall's retro Come Dance With Me plus a classic or two, Nat Kind Cole relaxes with Sweet Lorraine while Sinatra gets quiet with Quiet Nights. For fun we have Ann Hampton Callaways' swinging version of Twisted with backup by New York Voices. NYV stands alone for Sassy Samba. Exciting new instrumentals by The Odd Trio Raucous Bacchus, Scott Boni Trio Miss Iowa and Aytul's Waltz by Nichol and Farquarson. Here's the entire list. Selections from this list are heard 3 times an hour during hi-rotation times. Amazing British singer Liane Carrol heard singing Moanin' on our hot choices list.